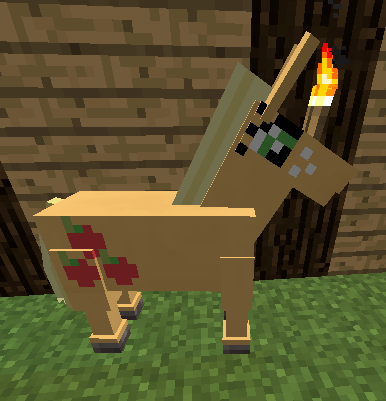 The above image does not reflect the current texture release of marshmallow pony, in the current texture the muzzle is lightened, there's more naturally beautiful eyelashes, and the ears are grey on the inside. You may modify the textures freely. You may not redistribute the textures or derivatives behind monetized links (adfly, etc), in resource packs hosted on planetminecraft, or sell them. If you redistribute the textures or derivatives, you must include this license. I make textures and stuff. 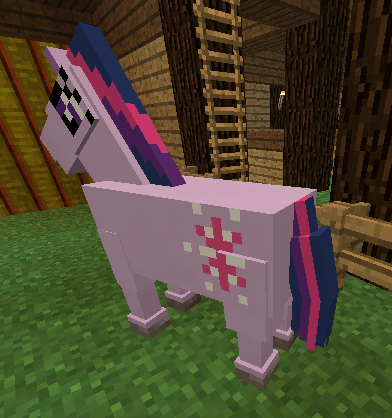 Current maintainer of the 3x texture pack. Abandonware artist of Manely Little Horses. I said on My Little Crafty that a pack like this was going to appear. And... YES ! YES ! I NEED TO DOWNLOAD DIS ! O boy, where did you copy this from, PMC? Did you even realize what your BBCode looks like? Also you don't have an actual link for us to download the pack, and to remind you again, that BBCode, don't copy from other sources. 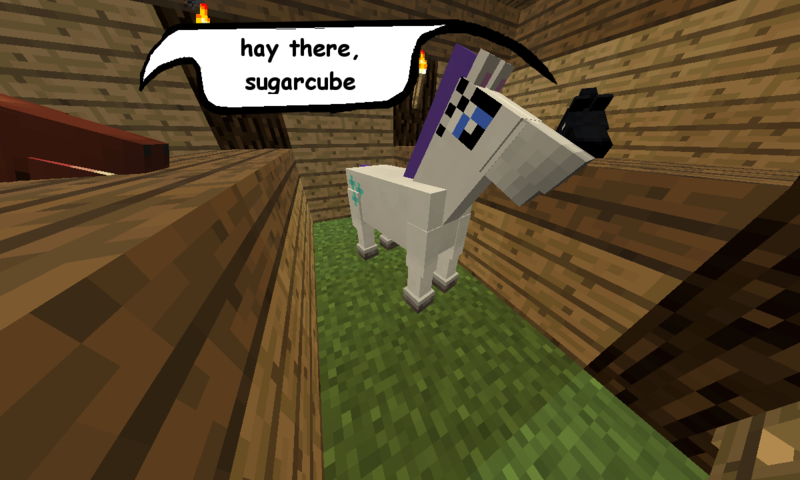 Edit: There was already an texture for the one completed under a spoiler, but there is a resource pack now. >O boy, where did you copy this from, PMC? >Did you even realize what your BBCode looks like? I actually love the theme of My Little Pony applied to the horses, genius. But this is still a really good idea that I was hoping for someone to make. Good stuff, I went ahead and modified my painterly pack to use these instead. The only thing is the black horse model is still normal. Who is left that you could retexture for that one?